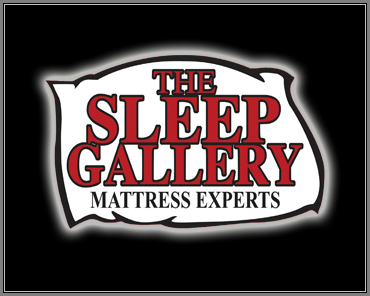 The Sleep Gallery are mattress experts and we love to help educate consumers on today's sleep products. As the mattress experts, we understand the mattress industry quite well and we want you to, as well. We know how complex the terminology can be to follow for those that do not follow it regularly, and we know how overwhelming shopping for your new mattress system can be. This is why we became the mattress experts back in 1988 and created our showrooms. We saw a serious problem with no one taking the time to educate consumers, so we made it our responsibility to tackle this urgent need. When you enter any mattress store, the first things you need to know are the size of mattress your room can accommodate and your sleep style. From here, our mattress experts will begin the enjoyable process of pairing you with the right sleep system for you. This is why we carry so many various models from the leading manufacturers. We need our massive selection to best serve you the perfect sleep system for you. Let's get started with the most important parts. Our mattress experts will offer answers to any questions. Comfort & Support. This is defining characteristics that everything else comes down to. It takes a certain amount of support to resist sag, and it requires a varying degree of comfort to relieve pressure points. You have to get these right to get the right sleep system for you. Comfort Descriptions. While some of these are somewhat straight forward, such as soft, medium and firm, others are more confusing. A plush mattress utilize a firm sleeping surface with soft layers to cushion without being ultra-soft. And a Euro Top or Pillow Top offers an additional top layer above the support system. Euro Top models offers less material and Pillow Top models offers more. Something else to consider is that a firm bed is not hard, but more solid and with less give. And a soft mattress is often misunderstood. In general, soft mattresses utilize multiple layers of materials to build up the soft feel, which can be bad for a stomach or back sleeper since some spines may not get the support it needs. If you are a side sleeper, you could be an ideal candidate for a soft mattress. If you are enjoying these mattress facts, you might enjoy our full studies that we publish under our Mattress Professor learning series, which you can find here.